Do you want your Matric Certificate but attending classes full-time or part -time is a problem because you are busy most of your time either due to work or other commitments. Is distance also a problem with you and you cannot attend classes but still you want to get Matric, then this post can be of help to you. National Senior Certificate has been known to be done only through attending classes but we have good news for you, with the current technology, you can now study online or through distance learning and only come for exams. You will be equally ready as if you were attending in class. Hence Matric certificate online is studying through online resources and coming to sit for exams. You can obtain your Matric Certificate online by enrolling at our college- Ekurhuleni Tech College in Krugersdorp and then following the simple steps so as to get the study material and assignments. We walk with you step by step ensuring that you fully understand what you are studying and also ensuring that you are more than ready by the time exams start. Our exams are written in Pretoria. Also please note that the exams are National exams set by the Department of Higher Education and Training (DHET). We therefore do not control the dates the exams are written but the DHET. The following are the requirements needed to study for Matric Certificate Online with our college. completion of our registration forms in full and supplying all the relevant documentation which includes your certified copy of ID. Payment of registration fees ad the relevant study fees required. This is determined by the number of subjects you do and the brochure will be provided to you when you request it. Registration for your exams and payment of registration fees. Should you fail to do this on time you will not be able to write your exams and you will forfeit your money as you need to pay again the study fees. Hence it is student’s responsibility to always take the dates supplied by the college seriously. Doing the provided assignments for your mark which contributes to 25% of your exam. Please note that if you do not submit assignments on time, you will not be allowed to write your final exams and you will forfeit your studies. Though it may sound like many things are needed, but in actual fact this is just a few things provided you allow us to lead you step by step. Today’s office hours are making it more difficult for one to improve their qualifications. Some are working full time, some cannot find the jobs they want because of lack of matric or promotion they deserve because of no matric. Whatever reason, getting your matric certificate online can be the opportunity you have been waiting for. Please note that this does not require you to know computers as very little work is done with the computer except when watching videos which can be done even with your smart TV. Get your matric this year and do not allow circumstances to stop you or detect to you. Do not let the Senior Certificate stop you from your dreams. Enroll today with us and get ahead of others with your matric certificate. It all takes you to pick up the phone and inquire today. Our phone number is +2711 040 7343. Our offices are in Krugersdorp, South Africa. Get google Maps and type Ekurhuleni Tech Collage for directions. If you have any comments or questions do not hesitate to ask or call. Share this with friends and relatives too. Guys I’m from the Northern Cape. 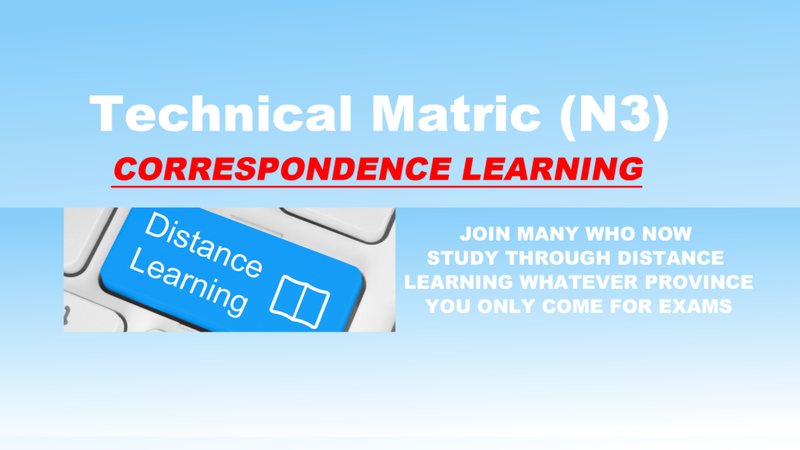 I would like to get my Matric through distance learning.